MTech USA Radiator Assisted Opening Pocket Knife - Stonewashed with Contrasting Gold Titanium Liner | BUDK.com - Knives & Swords At The Lowest Prices! 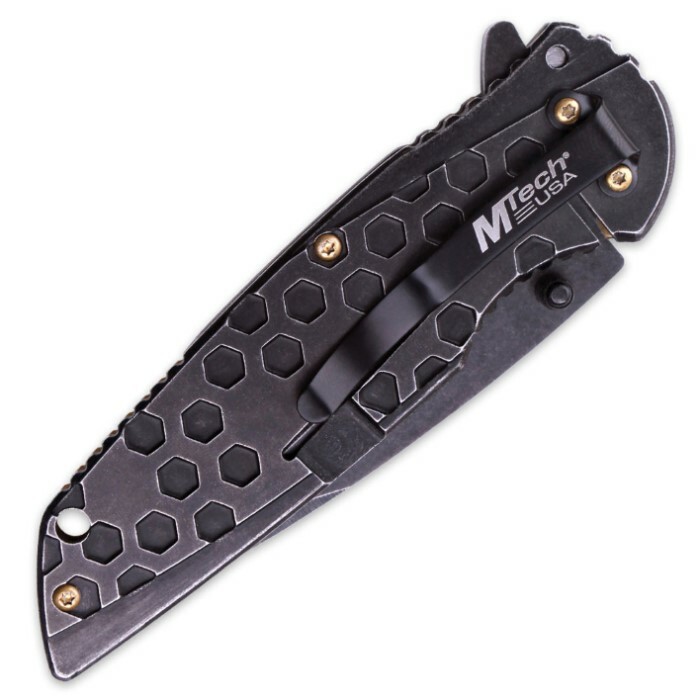 MTech USA's Radiator Pocket Knife boasts rugged industrial styling and performance that soars well beyond its surprisingly affordable price point. Its 3 1/2" 3Cr13 stainless steel blade is extraordinary versatile and razor sharp, perfect for a vast range of cutting jobs. Fast, one-handed blade deployment is easy, via the handy blade spur and/or ambidextrous thumb studs. 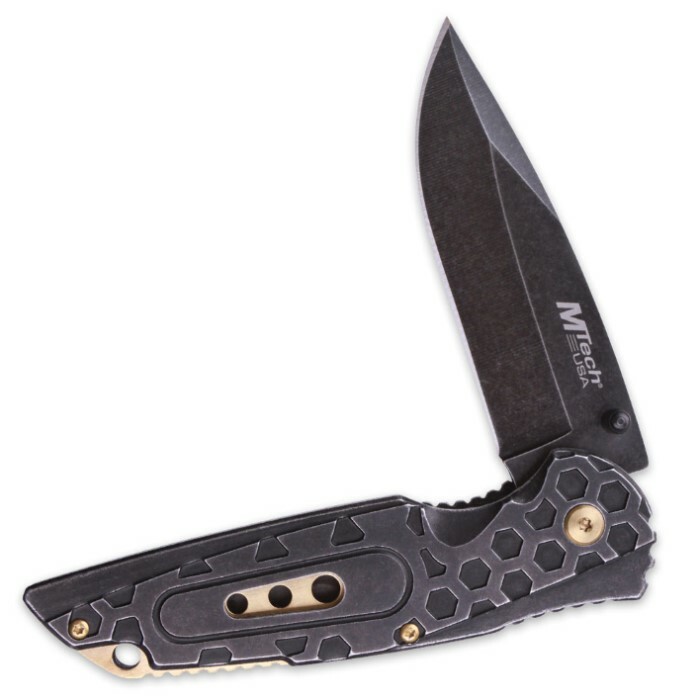 MTech's advanced assisted opening mechanism launches the blade to an open, locked position in the blink of an eye. Like the blade, the Radiator's uniquely patterned stainless steel handle is stonewashed for an urban-rustic, bleak-chic flair throughout. The brilliant, gleaming gold titanium-coated liner and pivot screw provides a stimulating, eye catching contrast to the dark, somber stonewashed black of the handle and blade. An ideal everyday carry, the Radiator is solidly built and includes a handy built-in pocket clip and integrated lanyard hole for convenient, secure transport. 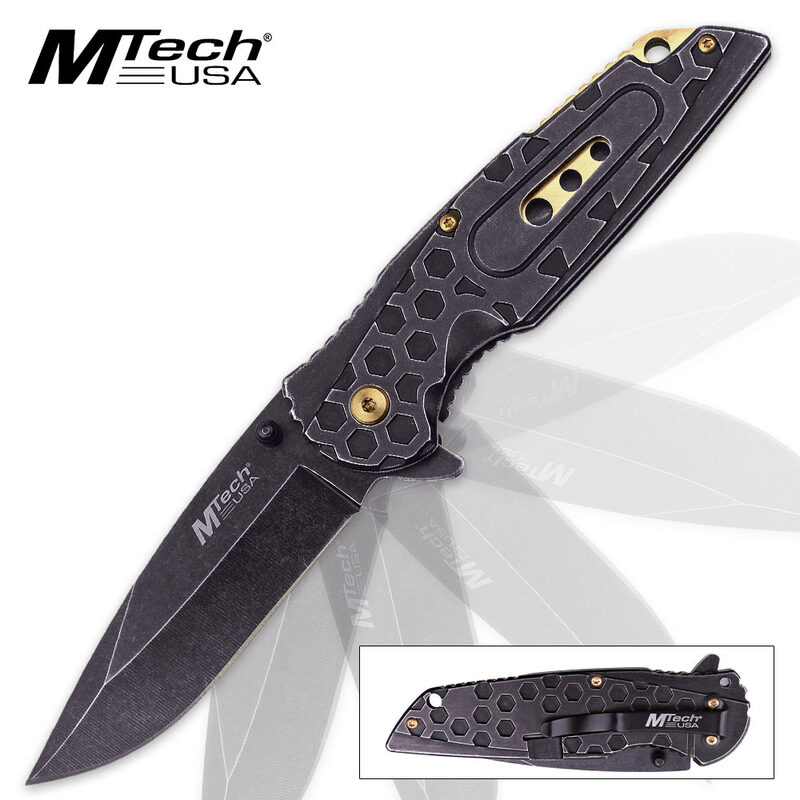 Regardless of how you use it, you can always trust the MTech USA Radiator Assisted Opening Pocket Knife to be up to the task!